A deodorant spray for pet odors can come in very handy for your problems with doggy odor, such as that wet dog smell on a rainy day or after a bath. 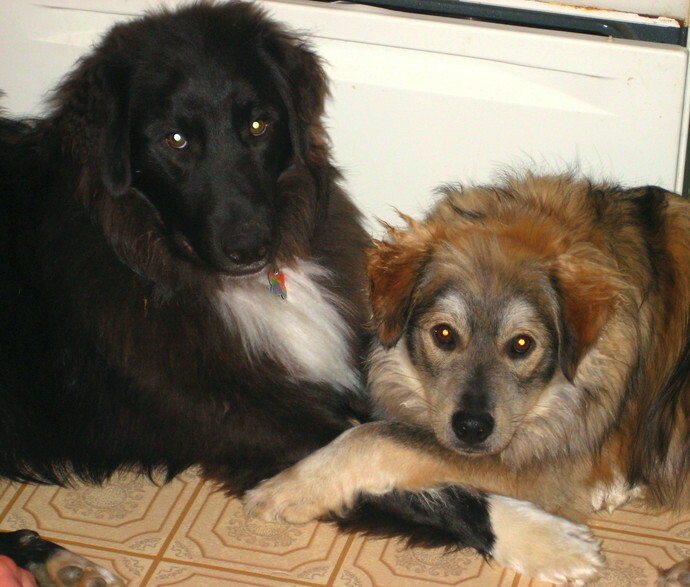 If you take notice, many of those pet odor candles contain vanilla and herbs such as sage, rosemary or southernwood. 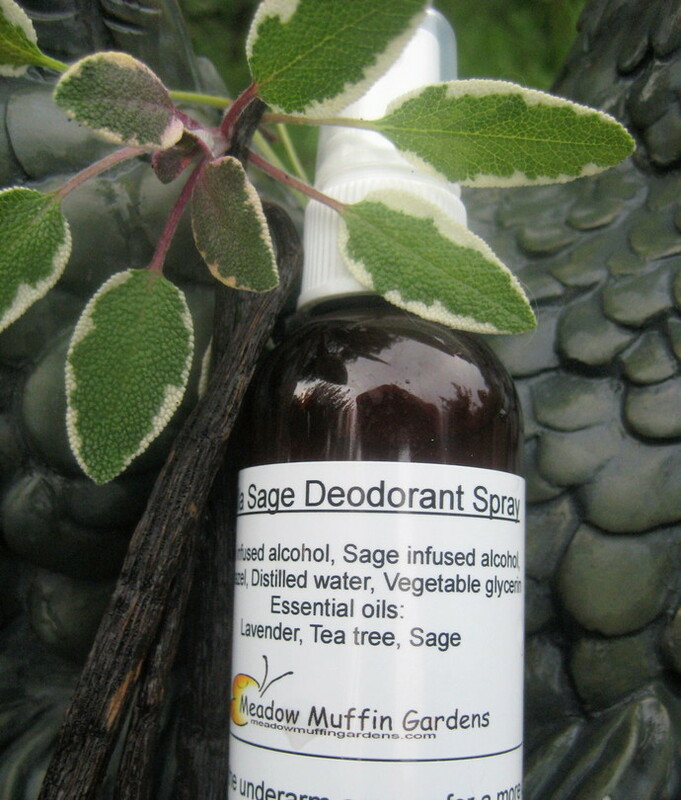 This deodorant spray contains a vanilla and sage alcohol infusion which is then diluted with witch hazel, distilled water and a bit of vegetable glycerin so as not to dry out the skin. Between the infusion and the witch hazel, there is a high enough percentage of alcohol present to destroy bacteria, therefore no preservatives are added to this spray. Synthetic preservatives such as parabens can be avoided with "made to order" items that are usually used up long before problems arise. The concern with parabens is that absorption of these chemicals can disrupt delicate hormonal balance and build up organ toxicity. Be aware of this when you see the words methyl, ethyl, propyl, benzyl and butyl. Vanilla is a much loved fragrance in perfumery for its warm and sensuous aroma. The aroma of the vanilla bean has long been popular in the candle industry for the very reason that it is good at eliminating odors. Actual vanilla pods are infused in alcohol to create a natural vanilla extract, no synthetic or artificially added ingredients to cheapen the quality. Sage is an herb with strong astringent and cleansing properties. It's antimicrobial qualities make it very useful for natural deodorants and its sharp, clean smell add a scent appealing to most everyone. Tea tree oil is not only a deodorizer and acts as an antiseptic, but also contains anti-fungal and anti-bacterial properties. Lavender essential oil is also added for its antimicrobial properties, but also the fact that its refreshing fragrance blends very well with vanilla. Spray onto your dog's fur as needed. You can rub in in thoroughly if desired and let dry naturally. This spray is not suitable for use on cats since it contains sage. Cats are particularly sensitive to a group of oxygenated compounds called ketones, phenols, alpha pinene, some monoterpenes, and carvacrol (a byproduct of d-limonene which is found in all citrus fruits and in many tree oils) which their livers can not break down. Sage is in the ketone group. This Pet Odor Spray comes in a 4 oz. plastic bottle with a sprayer type top.